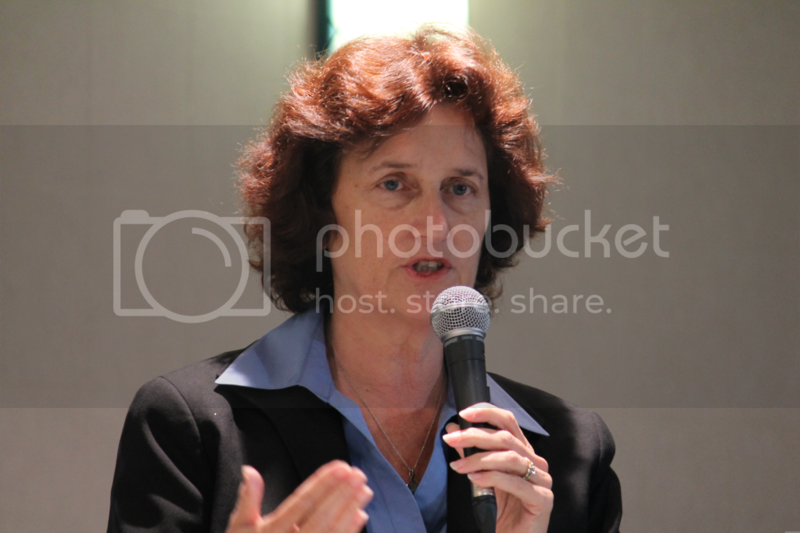 ELECTION ’12//OAKLAND//CITY ATTORNEY | Oakland Councilwoman Jane Brunner lashed out at City Attorney Barbara Parker at a Tuesday night city attorney debate that climaxed over the recent Goldman Sachs controversy where Brunner alleged the city’s counsel pushed policy decisions through law in a legal opinion that allegedly stated council’s inability to terminate the rate swap agreement. Parker called Brunner’s accusation an “outrageous and erroneous statement.” The accusations surmise a hardscrabble competition by Brunner to unseat Parker, who was appointed city attorney a little over a year ago after John Russo left to become Alameda’s city manager. The audience clapped uproariously in celebration of Parker’s defense. “You can clap but what I said was public information, it was at a city council meeting,” said Brunner in response. “I was asked about the opinion by citizens and reporters but I never gave the report.” Brunner said prior to Parker’s defense that only after the vote that ended the city’s relationship with Goldman Sachs did the attorney’s office come out with an opinion that the council could proceed with the termination. Brunner advocated for streamlining the office to save money and criticized the $6 million spent on outside legal counsel last year. The attorney’s office has been reliant on outside legal counsel due to deep financial cuts into the office by 40 percent and a staff reduction by more than one-third. Parker touted reduced settlement payouts by 50 percent, which Brunner admonished prior, calling the cash pay out on settlements too great due to late agreements. The council did make the decisions to the cut the attorney’s office, which Parker says has forced them to rely on expensive outside legal firms for critical advice. Parker said that for years the office has asked for more attorneys which would be cheaper than hiring outside council. Brunner called for the office to streamline but said that instead of them doing so, “they went out and hired outside attorneys, I rather be employing police.” Brunner added that the law office she comes from has one helper for four attorneys while the city attorney’s office has one helper per every attorney. Brunner suggested limiting the amount of helpers as an example of streamlining. As for gang injunctions, one in Fruitvale and another in North Oakland, were discussed at length which Parker called a “tool” to deal with crime issues but Brunner said brought “no one to prosecution.” According to Brunner, the Oakland Police Department (OPD) doesn’t want another gang injunction because most gang members are on probation. Brunner said the Fruitvale injunction cost the city a million dollars which Parker contested. “The city spent $100,000 on the injunction, this myth of a million dollars never occurred,” said Parker. The debate also discussed at some length the outside council of Dan Siegel used by Mayor Quan which Brunner said was fine by her but Siegel’s “attempt at acting like the city attorney and making public comments was out of line, and I told him that,” said Brunner. Siegel resigned as Quan’s legal adviser last year in protest of her handling of Occupy Oakland, calling for support of the movement and its protest against the one percent. Parker leads Brunner financially with $74,035 raised in the last campaign disclosure period to Brunner’s $69,414. For total cash on hand Parker has $117,638 while Brunner trails with a total of $78,517 as of June 30. Posted in Barbara Parker, city attorney, gang injunctions, Goldman Sachs, Jane Brunner, Oakland. Bookmark the permalink. I tell you what, I don't know all that much about Parker, but Brunner was walking the neighborhood where I live. I saw her on the street and stopped her. I asked her a series of questions about past issues, such as the huge pension boost she voted for in 2004. She kept saying she'd have to go back and review her reasons for her decision. Over and over, on topic after topic, she kept avoiding the answer, saying she'd have to review her notes, instead of just saying, “yes, I voted for that and here is why? No, I'm sorry but she has been on the city council for SIXTEEN years. During those years she has been on board for nearly all the disasterous decisions. 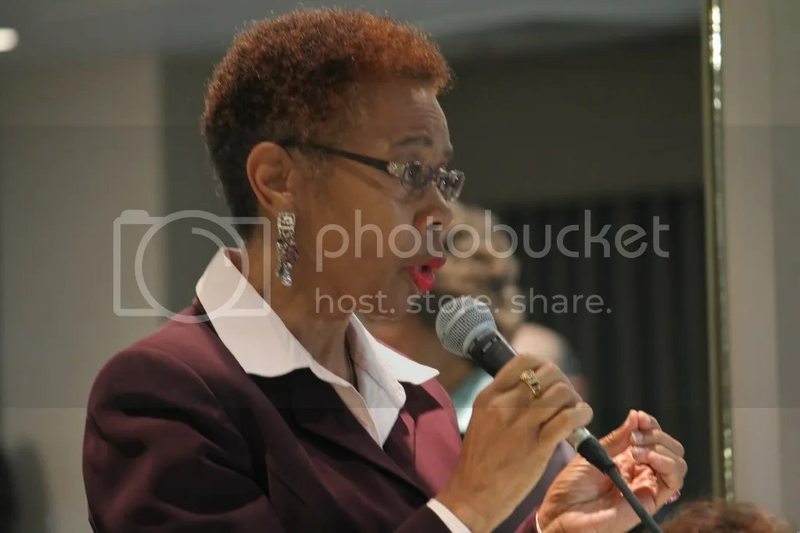 She has shown NO leadership to steer the city in a responsible fiscal manner. She is a tired old rag-muffin. Worn out and just looking for a new gig with a better salary. Time to retire this person, not shine her up and stick her in a new post. God, can't Oakland please get some vibrant capable individuals? 16 years of no leadership! She needs to go yesterday. When are we getting pension reform Jane? She needs to go away from Oakland. Barbara Parker is excellent. While there are many reasons to vote against Brunner, this is one race where it is possible to make an affirmative choice. Barbara Parker is a smart, capable person who knows what she is doing.Her work in closing down the prostitution motels and other actions shows she can work with council. 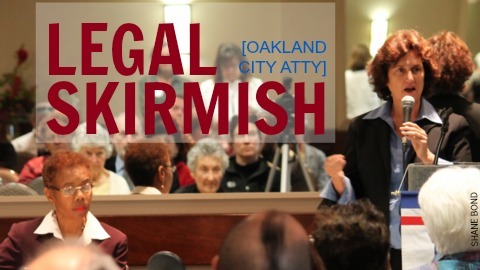 She will not politicize this position but ensure that the City Attorney's office runs in a professional manner. Please do not vote for Brunner. They need to get rid the entire City Council, Mayor and her puppet Police Chief. It is time for Oakland to vote out all the long term incumbents. They have done and continue to do nothing while the crime escalates each day. It is sad to see what is happening in Oakland. It sounds to me like Parker and Brunner are basically calling each other unprincipled and liars, and which certainly it is almost impossible that even one of them could be, since: one, the legal profession constantly feeds us laymen the propaganda that most lawyers are honest and that lawyers do not lie; and two and furthermore, the California State Bar, in other words the totally corrupt organization that pretends to enforce standards for lawyers, and out of its supposed desire to protect the general public, insists that it holds lawyers to the very highest standards. In fact and before the CSB will even issue anyone a law license, it first goes through the charade of pretending to do a very thorough background check, and supposedly so as to ensure that no one can practice law in California unless the person definitely has the very highest moral and ethical standards. While it is true that in recent decades the phonies, demagogues, and professional pathological liars who have been running the CSB have sometimes even issued law licenses to some of the biggest sleazeballs and scumbags to be found anywhere, and even including people who have previously been convicted of murder, still not even that stops the CSB from continuitng to insist that: one, most lawyers are honest; and two, the CSB's primary purpose for being is to protect the general public. ACTUALLY, THE CSB's REAL PRIMARY PURPOSE FOR BEING IS TO PROTECT AND CONTINUE THE RIGHT OF THE MEMBERS OF THAT SLEAZY MAFIA WHICH REFERS TO ITSELF AS THE LEGAL PROFESSION TO BE A BUNCH OF EXTREMELY OVERPAID PARASITES AND TO CONTINUE RIPPING OFF THE PUBLIC. In regard to my previous post. When this morning I went to the San Francisco Chronicle's website (sfgate.com), I saw an article titled, “PG & E slammed for meaningless changes,” and which could have just as easily been written about the totally corrupt California State Bar. To basically summarize the major points in the article, a person by the name of Raffy Stepanian, and who works as a manager for the state PUC, asserted that PG & E still, and regardless of any recent PR campaigns, has not really changed its corporate culture of putting profits before public safety. In other words, he asserted that its PR campaign to convince the public that PG & E has reformed and that it is now taking the public's safety much more seriously is primarily PR, and in spite of any PR campaign by PG & E to convince us that it is a much better and much more trustworthy company now than it was at the time of the San Bruno explosion that took eight lives. However somewhat similar assertions could have just as easily been written said about the California State Bar, in other words the totally corrupt organization which pretends to regulate and pretends to enforce standards for California's lawyers, and which also every now and then goes through its latest periodic charade of pretending to reform and to clean up its act. And mere specifically, an extremely profitable mafia that pretends to be a legitimate business is not likely to actually and truly reform its practices, and no matter how much it pretends to and no matter how often it goes through its periodic charades of pretending to decide to finally become a legitimate and law abiding business that puts serving the public above serving the financial interests of its stockhoilders and/or its co-conspirators.